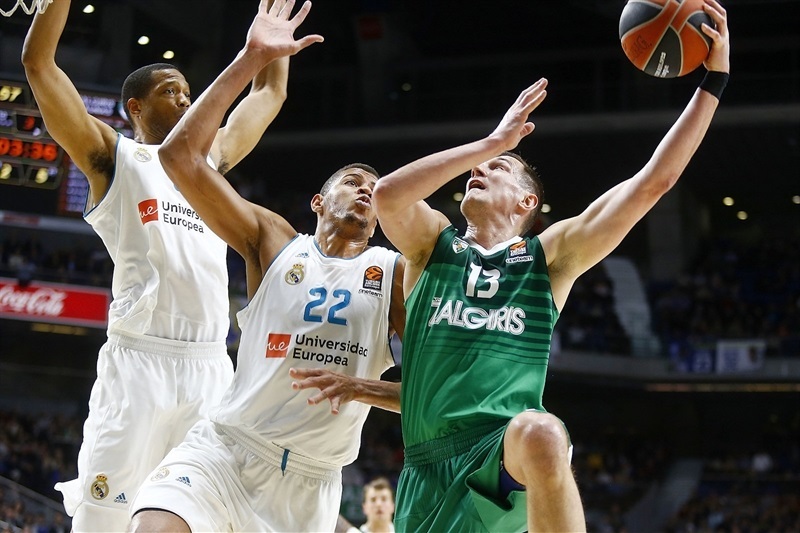 Real Madrid took a step forward in its race to claim home-court advantage in the playoffs by topping Zalgiris Kaunas 88-81 in the Spanish capital on Thursday. 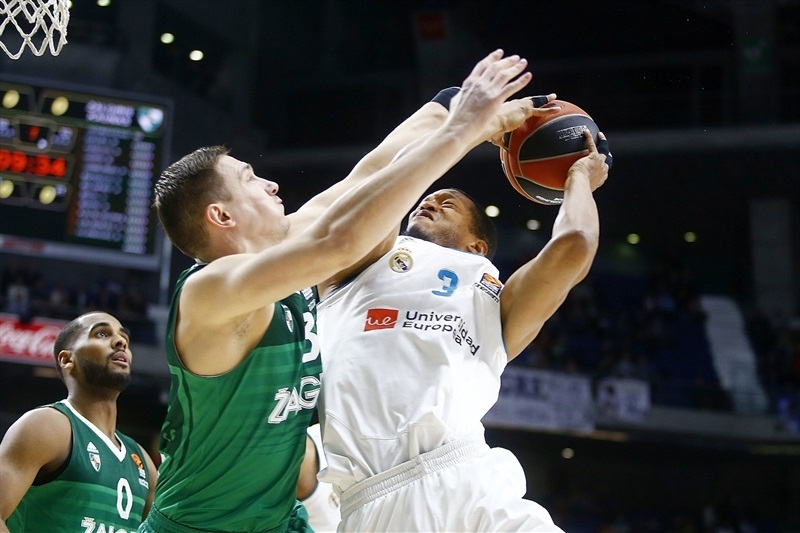 Madrid improved to 17-11 in the standings and Zalgiris dropped to 16-10. 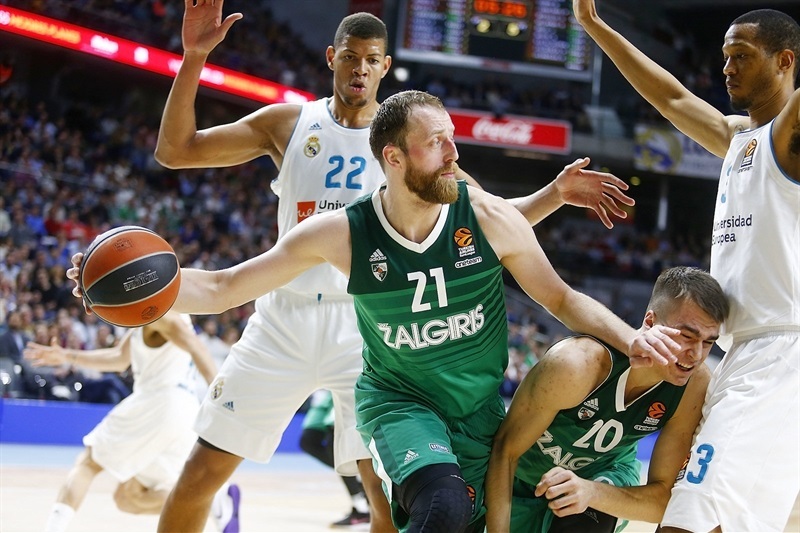 Despite the loss, Zalgiris qualified for the playoffs for the first time since this phase returned to the competition in 2005. 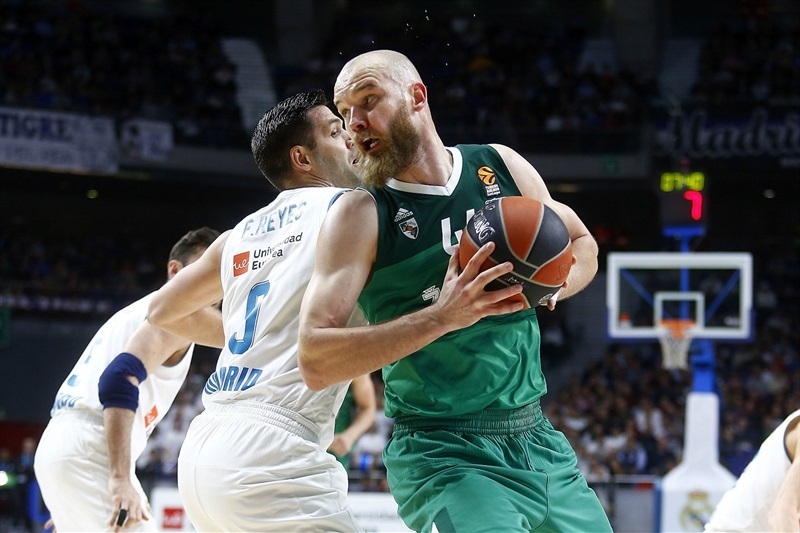 Felipe Reyes led the winners with 16 points, Fabien Causeur added 14, Luka Doncic returned from injury to produce 11 points and 7 assists and Jaycee Carroll scored 10 for Madrid. Paulius Jankunas led Zalgiris with 21 points, Arturas Milaknis added 14 and Kevin Pangos had 12 in defeat. 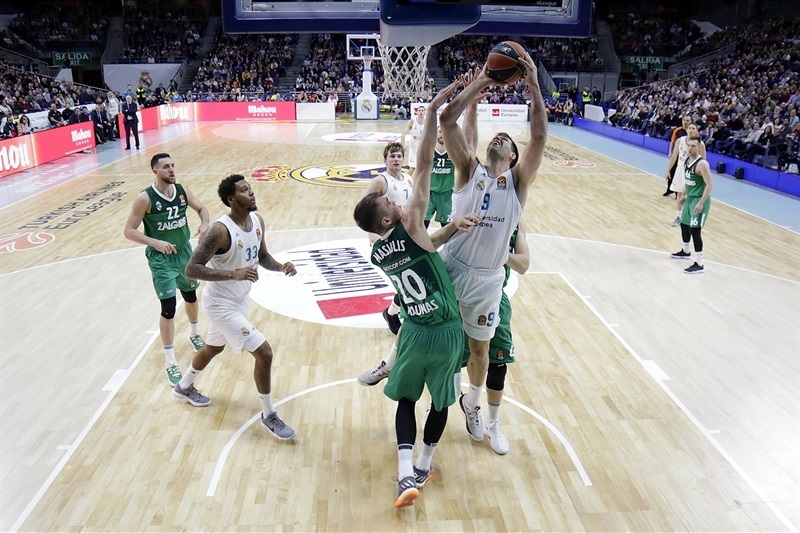 Zalgiris led 41-48 early in the second half, but Facu Campazzo and Causeur rescued Madrid, which rallied to lead 65-62 after 30 minutes. Jankunas and Pangos had Zalgiris within 75-74 midway through the fourth quarter, but Trey Thompkins scored 6 unanswered points, which made the difference in this outstanding game. 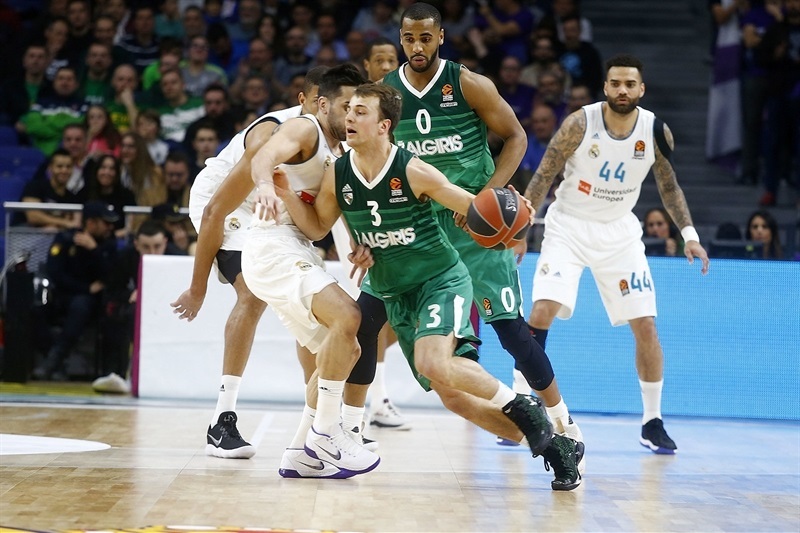 Randolph got Madrid going with free throws and Causeur added a driving basket, but Paulius Valinskas and Brandon Davies fueled a 0-8 run in which Jankunas hit a couple of jumpers for a 4-8 Zalgiris lead. 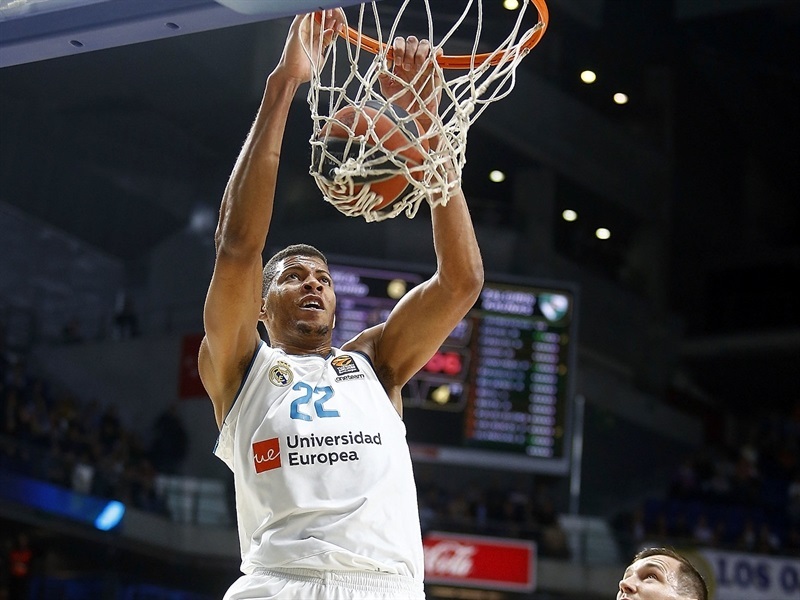 Anthony Randolph and Walter Tavares rescued the hosts with consecutive dunks, igniting an 8-0 run which Rudy Fernandez capped with a jumper for a 12-8 Madrid edge. 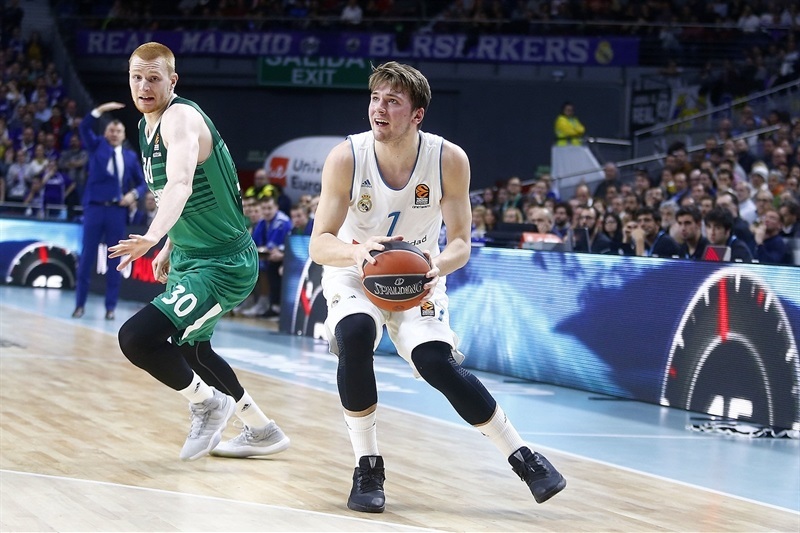 Antanas Kavaliauskas scored down low and Milaknis and Doncic traded triples, but Fernandez and Carroll extended Madrid's lead to 19-13. A triple by Beno Udrih fixed the score at 19-16 after 10 minutes. Udrih scored in penetration and a layup by Kavaliauskas gave Zalgiris the lead, 19-20. Reyes and Doncic combined for all the points in another 8-0 run, but Kavaliauskas singlehandedly kept Zalgiris within 29-24. 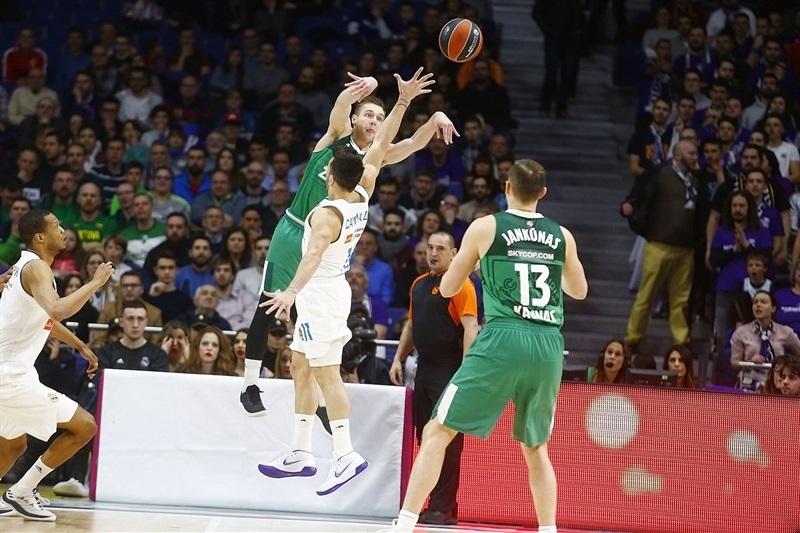 Reyes took over with a three-point play and Thompkins downed a jumper, but Vasilije Micic rescued Zalgiris, Milaknis struck twice from beyond the arc and Aaron White added a corner triple that caused Madrid to call timeout at 36-37. Jankunas hit another jumper and even though Jeffery Taylor followed a triple with a layup, Micic and a red-hot Milaknis kept Zalgiris ahead, 41-44, at halftime. A tip-in by Edgaras Ulanovas and a jumper by White made it 41-48 early in the second half. Facu Campazzo had 5 points in a 7-0 run that tied the game. 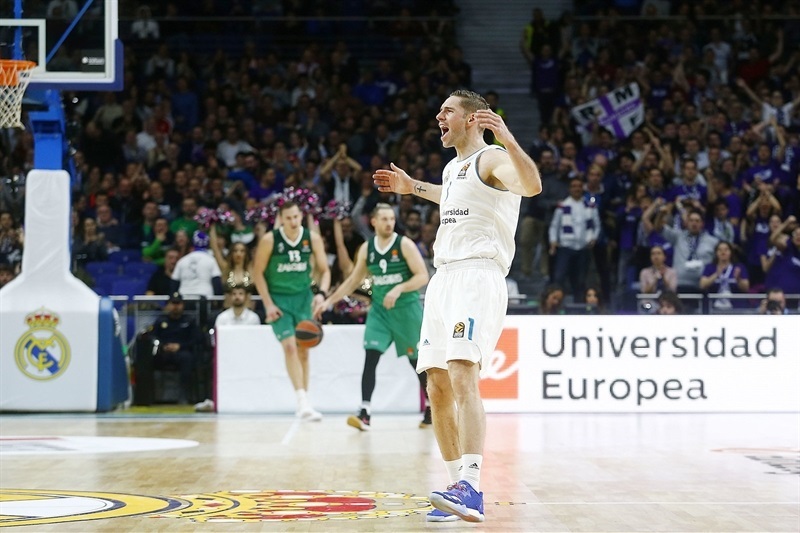 Pangos tried to change things for the visitors, but back-to-back three-pointers by Causeur put Madrid ahead, 57-54. Causeur scored in penetration and Carroll added a floater, but Milaknis and Jankunas kept Zalgiris close at 61-60. An off-balance basket by Randolph and free throws by Reyes extended Madrid's lead to 65-62 after 30 minutes. 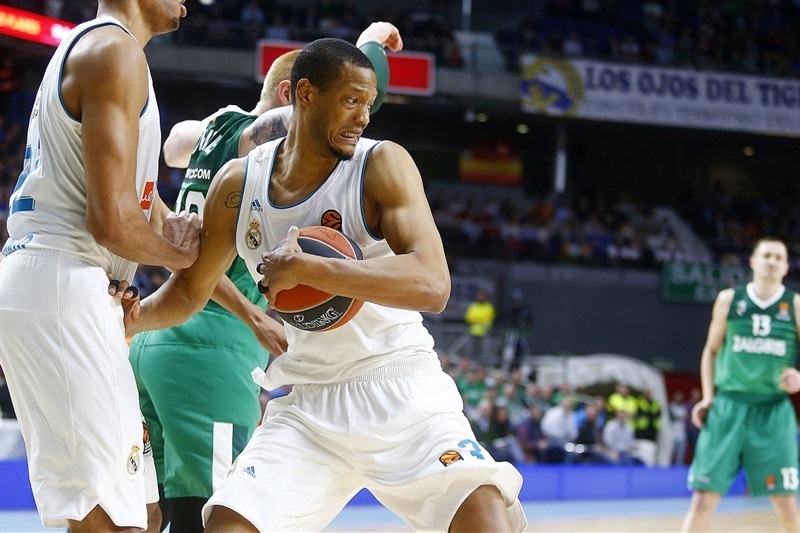 Pangos hit a triple early in the fourth quarter, but Reyes scored three times around the basket and Carroll added free throws for a 73-67 Madrid lead. Jankunas and Pangos brought Zalgiris within 75-74, but Thompkins netted 6 unanswered points for a 81-74 lead with three minutes left. Jankunas scored down low, but a three-pointer by Fernandez sealed the outcome, 84-76, with over a minute remaining. "First of all, congratulations to my players for the win. I believe it was a game in which we had a good start, had some bad luck early in the game, with an end-of-quarter triple by Beno Udrih and allowing some easy baskets, but we played a good first quarter in general terms, getting a short lead. The second quarter was our worst one tonight and I think they didn't get a big lead because they were punishing us in things we had talk about loud and clear - for instance, playing defense on Milaknis beyond the three-point line: he had 4 three-point shots in the first half and they lived on that. We understood the game much better in the second half. Our defense was more solid, knowing what we can and can't give, little by little adjusting to every situation. They opened the floor a lot, playing a lot of pick-and-roll, generating situations that we controlled very well. That allowed us to get an important win for us against a team that never stops playing. This is what they did all season, being a team that always stays in the game, doesn't allow you to go on runs and uses the game clock. In that sense, we had to work hard to pull out this win. I am happy because it was a tough EuroLeague week, with two games in less than 48 hours. We have qualified to the playoffs and now will try to rank as high as possible, the fourth spot in our hands, which would give us the home-court advantage." "We didn't play a bad game, but what bothers me if that we came here to see what happens. I am upset with this; I believe that if you want to beat Madrid on the road, you have to go for them in a very aggressive way, giving it all, leaving it all on the floor. We arrived to see if we could do something here or not. We have to learn from this; our kids are not used to winning so much and we have to learn from it… If we talk about qualifying to the playoffs, it is a matter of big pride to be there, among the eight best teams in Europe, no question. No-one gave us an option at the beginning of the season and truth to be told, people fought hard for this. Congratulations to my players, but this is what we have to learn. We have to learn to win, always, and this is very difficult. I hope we can improve in this aspect." 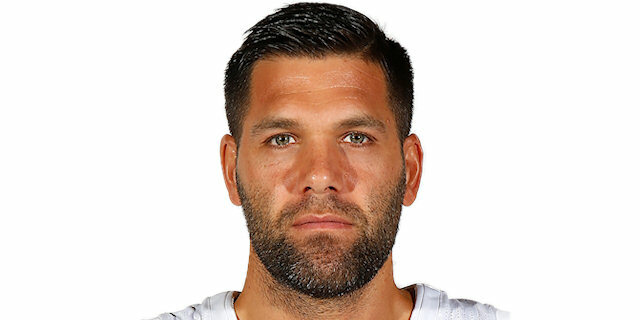 "We only have two games left and a lot of things can happen, but we had to win this game against a direct rival to get closer to locking up that fourth place. The whole team did really well in the second half. We started the game with no rhythm, without being aggressive on defense, and realized Zalgiris was doing well and dominating the game rhythm, so we had to bounce back. We didn't respect our game plan in the first half and everyone made mistakes that led to easy baskets. We came out with more energy, more focused after the break, and that allowed us to raise our level. 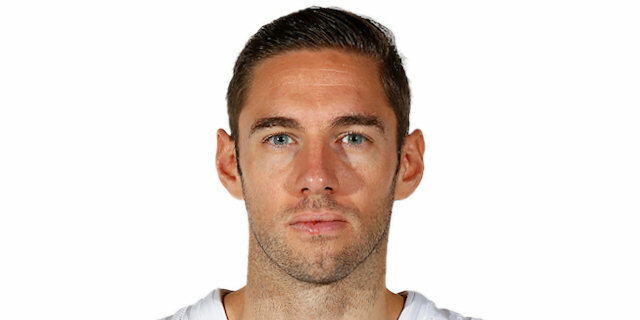 Felipe [Reyes] uses his body like no other player I know. He knows exactly what he has to do to get an advantage in the game. He played a great game and we need our captain more than ever." 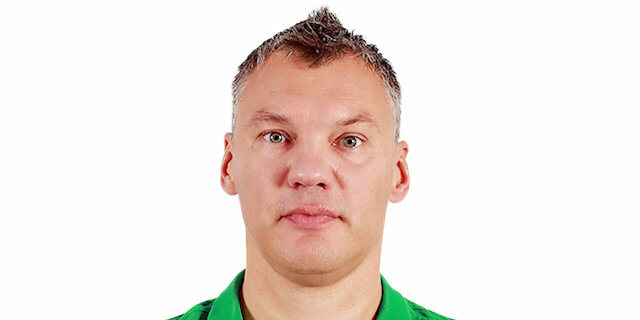 "It is a very important win for the team because Zalgiris is a direct opponent. We still have to play two more games, but we have to be happy with the work we did today. Like I said, we still have two games left which we must win no matter what, in order to get the home-court advantage in the playoffs."